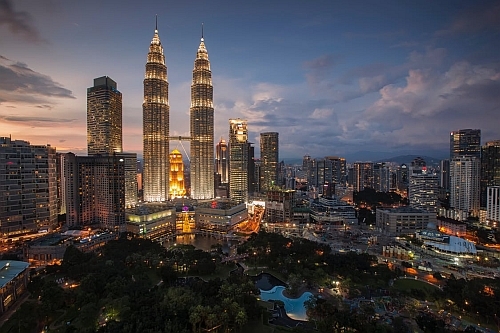 Similar to the Thailand deal, ANA (All Nippon Airways) has now dropped the price of their flights from Vancouver to Kuala Lumpur, Malaysia down to $613 CAD roundtrip including taxes ($593 from Victoria). - Play around with the middle date to give yourself more or less time in Japan vs Malaysia. vancouver, yvr, flight deals, asia, victoria, yyj, southeast asia, ana, all nippon airways, kuala lumpur, kul, malaysia, nanaimo and ycd. 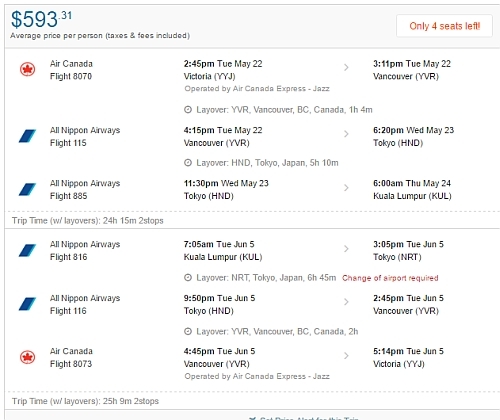 One Response to "Vancouver / Victoria to Kuala Lumpur, Malaysia - $593 to $613 CAD roundtrip including taxes | ANA flights, add Japan for $100"